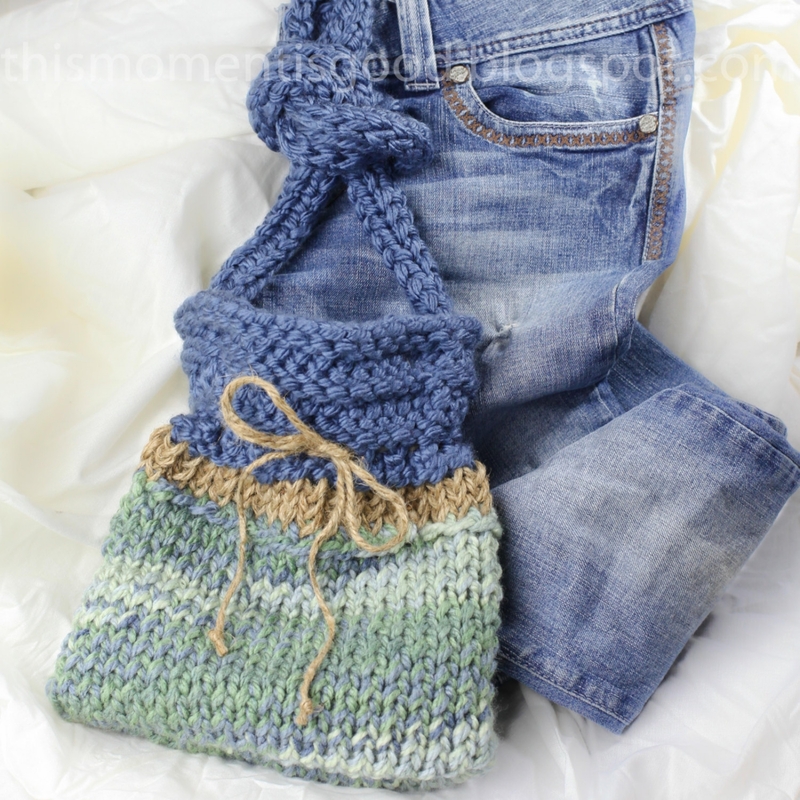 LOOM KNIT HANDBAG, PURSE, POCKETBOOK PATTERN! 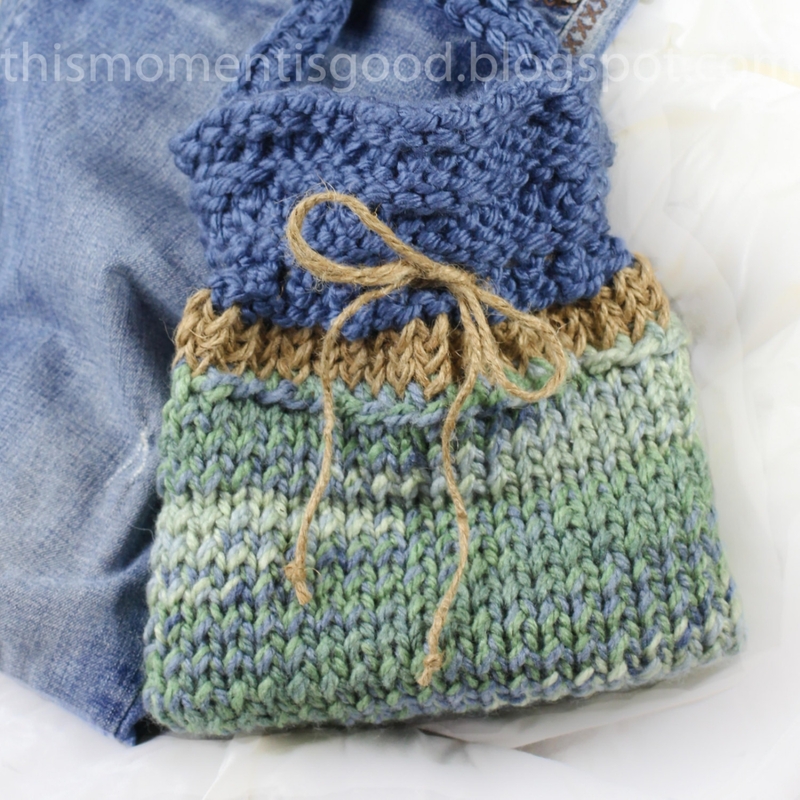 This is a loom knitting pattern for "The Weekender Handbag".Once loom knit, this bag is the perfect light and easy handbag! It has a tapered design and long strap for placing over the chest for security. Natural drawstring tie can be cinched in as much as desired. Although the color can be changed to suit, as shown, the color will match any casual denim outfit perfectly. 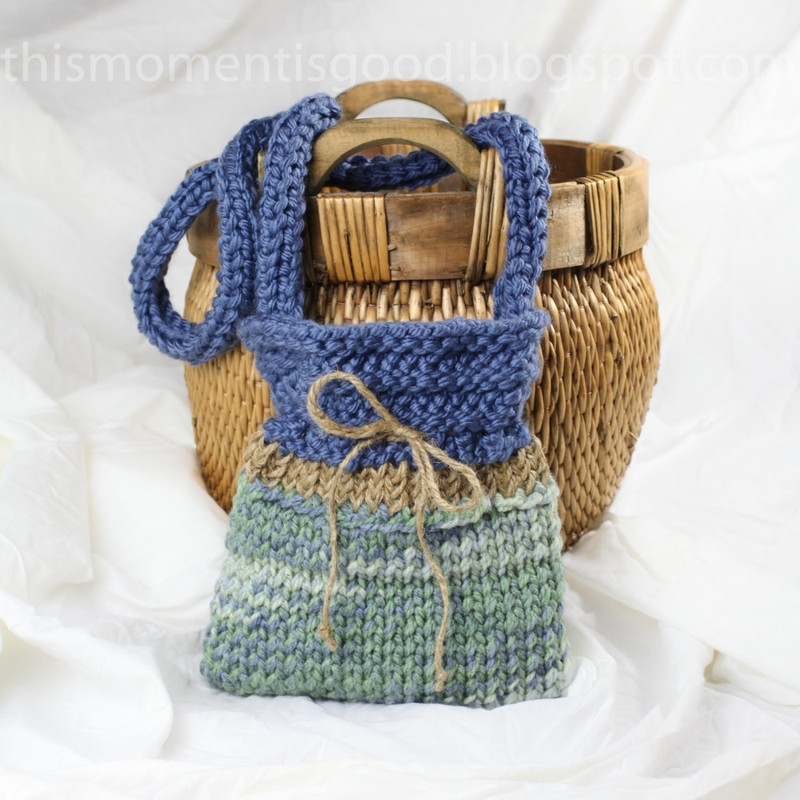 The natural fiber accents add to the bags natural, earthy appeal. Level: It knits up quick and easy and is perfect for the beginner loom knitter who is ready to branch out beyond hats and scarves. Loom: The pattern calls for the Yellow and Green Knifty Knitter looms or similar. 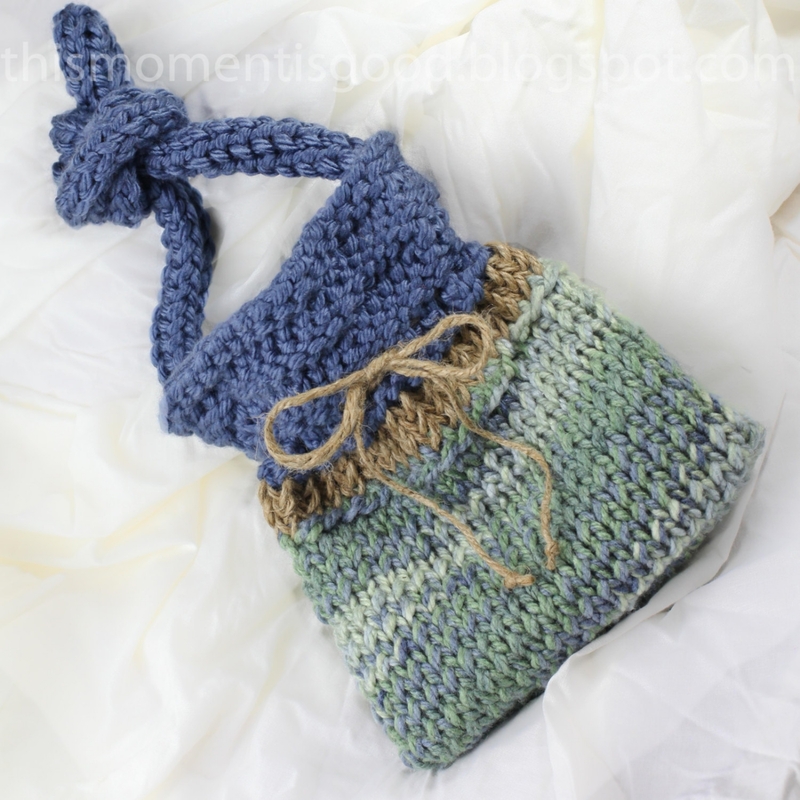 The bag tapers at the top with no complicated decreases. 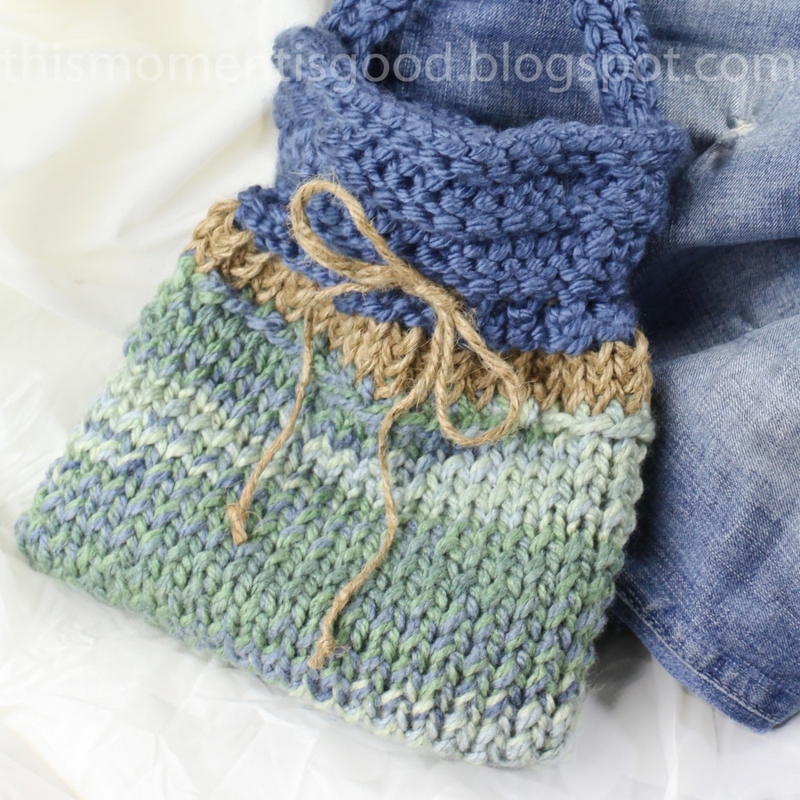 It will make a great gift for your favorite girlfriend or loom knit it for yourself! Size: Finished dimensions are 9 -1/2“ x 9” at its widest points. Top of bag tapers inward. All pattern sales are final and NON-REFUNDABLE.